The Christmas shopping frenzy is in full swing and there’s a rush to gather all your gifts for loved ones, but fear not as we’re still able to dispatch to you before the big day! If you’re trying to find some little stocking fillers that your lucky recipient will love, then you’ve come to the right place as we’ve got a great selection. Our varied collection of everything wine and drink are sure to bring a big smile to your loved ones this Christmas, so be sure to check out our Top 5 Christmas Stocking Fillers listed below! The must have glass this Christmas, especially if you’re a big lover of Gin is the Spanish style Gin and Tonic copa glass from Schott Zwiesel. This glass is very popular thanks to the big, wide bowl allowing plenty of ice and zesty pieces of lime/lemon to mix with your Gin and Tonic! Out with the old traditional long drink tumbler and in with this ‘new kid on the block’ wide and high-capacity glass! 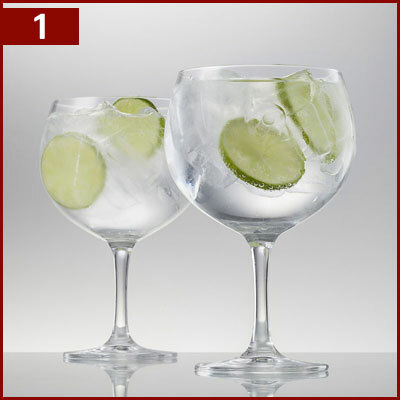 The Spanish way of drinking Gin has taken off in Britain and you can see for yourself with the perfect Gin glass! One of our most popular glass this Christmas will undoubtedly be the Glencairn Official Whisky Glass. 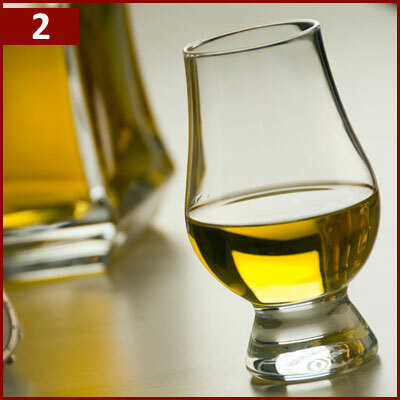 This unique glass shape is used all over the world as it offers a great nose and tasting experience for all types of Whisky. Wineware offer this glass in a collection of different sets and packaging types, so why not treat your loved one to the Glencairn Glass, the perfect glass for whisky. If you’re looking for an easy to use bottle opener then you can’t go wrong with our very own Corkscrew. The Wineware Waiter’s Friend Corkscrews features a double lever which enables an easy cork extraction, the two step action will have your cork out in seconds! 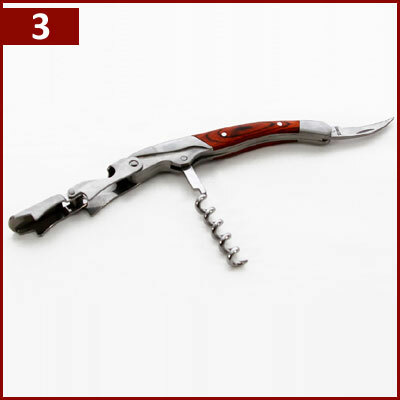 The corkscrew is made from stainless steel and features a rosewood handle adding a touch of elegance and is presented a black, Wineware branded gift box so the lucky recipient will know exactly where it’s come from! 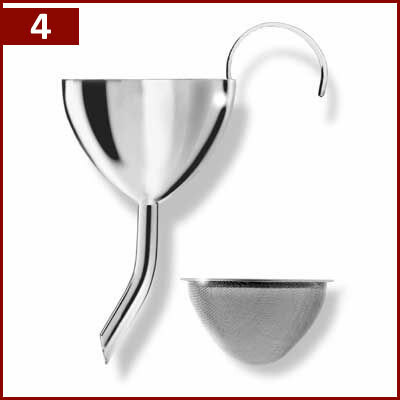 One of most popular little wine gadgets is the Stainless Steel Wine Decanting Funnel which enables you filter and pour your wine from the bottle into either a decanter or directly into a glass. The reason for using a tool like this is so you won’t get any sediment or cork entering your decanter or glass, this is commonly found in older vintages where the wine has been bottled for many years. Another great reason for using a funnel shaped like this, wine will be forced to make contact with the side of a decanter thanks to the angle of the exit of the funnel which will help with the aeration process! 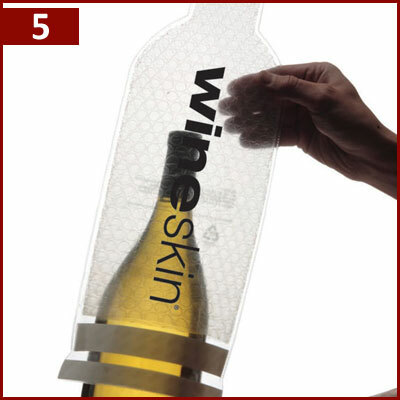 One of our most popular items is a must have for a wine lover, the WineSkin Wine Bottle Protector. This innovative packaging design is an effective and simple solution, designed to accommodate virtually every 750ml bottle of wine or fortified spirit or liquor. It is compact and air-cushioned so it can safely transport wine bottles in a suitcase or bag when travelling by plane. Alternatively, why not let your friends and family decide which wine accessories they’d like, with a Wineware Gift Voucher. You have until 12 Noon on Thursday 22nd December to purchase your Wineware Christmas Gift for guaranteed pre-Christmas dispatch!